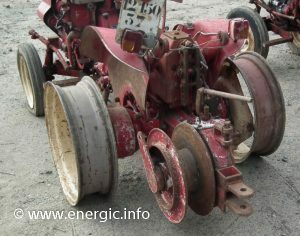 Initially used before the 3 point hitch system to lift and place the plough. 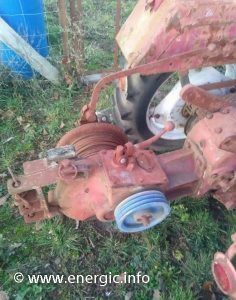 The Treuil (winch) was used for pulling heavy ploughs up steep inclines, to greater depths and in difficult terrain where the tracteur or conventional motoculteur machinery would struggle. 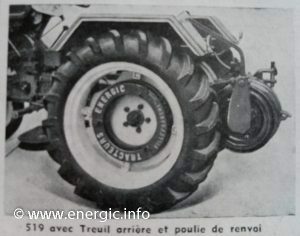 The Treuil was fitted to the very first tractors produced by A Patissier Ets.The 511, 518, 525 (old version CLM powered) then the 512, 519,and so on across the range till the late 1950’s. 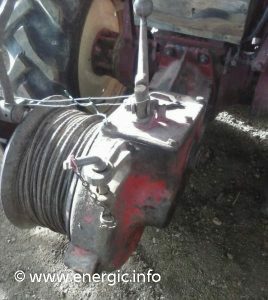 Here is the factory fitment treuil/Winch to the 511 mark 1 tractor. Model B from 1953 fitted with a winch/treuil option. (steel cable 100, 150 and 200 meters in length). The winch could be operated with 6 speeds. It was primary used in the following conditions; when the soil is very heavy (clay based), when cutting the earth was impossible with a pulled plough, when pulling very heavy loads/logs. The winch pulley pulls the cable from the side. It could be fitted with other ancillary equipment modified for specific use. Also you could attach a hook/bar for towing. 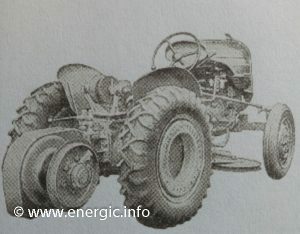 Here is a early 518 (Petrol/essence) factory fitted with a treuil. Great photo of the powerful treuil/winch set up on the rear of a 519 diesel. 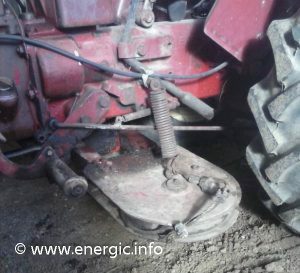 This Energic 521 vigneron shows how versatile the treuil/winch fitment was. Big and fit for purpose. 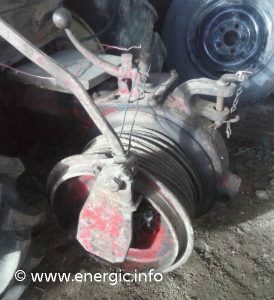 Read more about Energic 511 Mark 1 tracteur here. 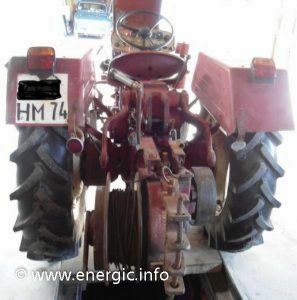 Read more about Energic 518 tracteur here. 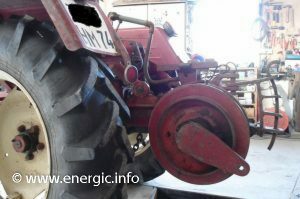 Read more about Energic 519 tracteur here. 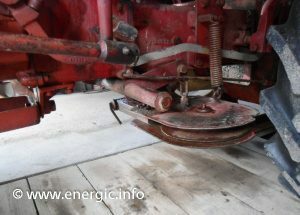 Read more Energic Engine/Moteur supplier Indenor here.